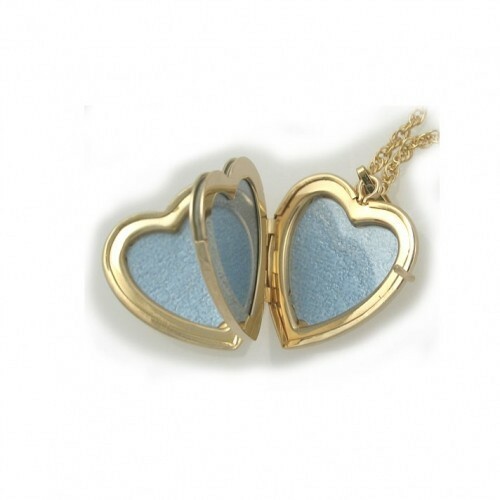 This locket is a perfect locket in so many ways. It is aprox 3/4" across with an elegant border pattern on the front. 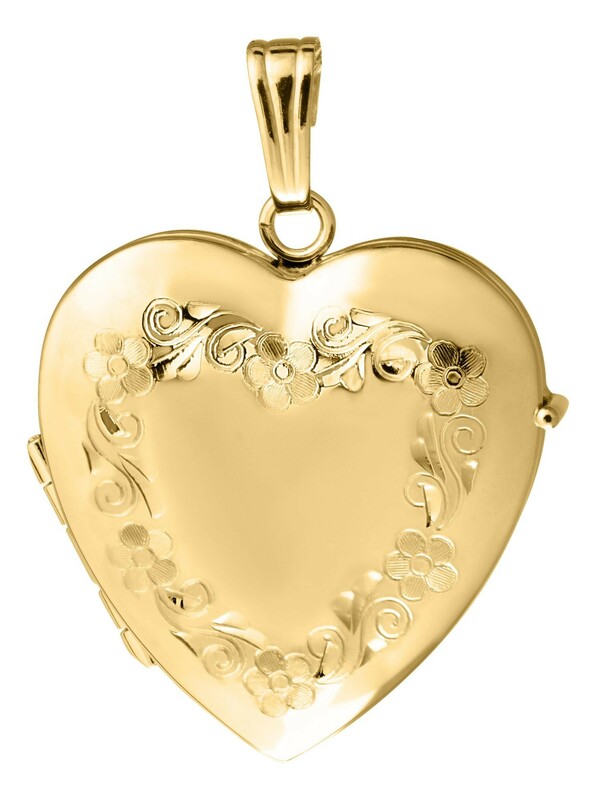 14K Gold Filled means that 1/20th of the weight of this locket is 14K gold. The engraving is done by hand and made here in the USA. It opens to hold 4 pictures. A wonderful, loving gift. This locket size is an average size for an average sized woman. The back is plain and suitable for engraving. The front, looks best left plain, or with just one initial. 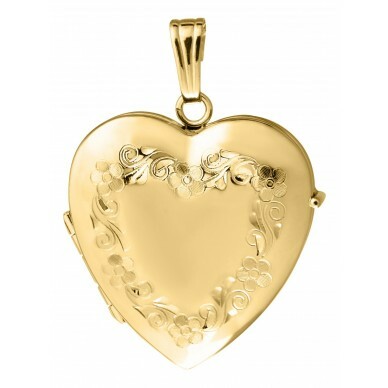 This locket is packaged with a 14K gold filled rope chain that is 18" long. Free Gift Boxing It carries a lifetime warranty.